Hanuman Jayanti 2019 is being celebrated across India today, April 19. The day marks the birth anniversary of Lord Hanuman and is celebrated on the 15th day of Shukla Paksha in the month of Chaitra. It is also known as Hanuman Janmotsav. On this day, devotees pray to Lord Bajrang Bali and also recite the Hanuman Chalisa. The stories of the strength and valour of Lord Hanuman have been spoken of in Shree Hanuman Chalisa. The verses written by Saint Goswami Tulsidas, a devotee of Lord Rama, wrote Shree Hanuman Chalisa as an ode to Lord Hanuman. It is said that reciting the Chalisa has several benefits. 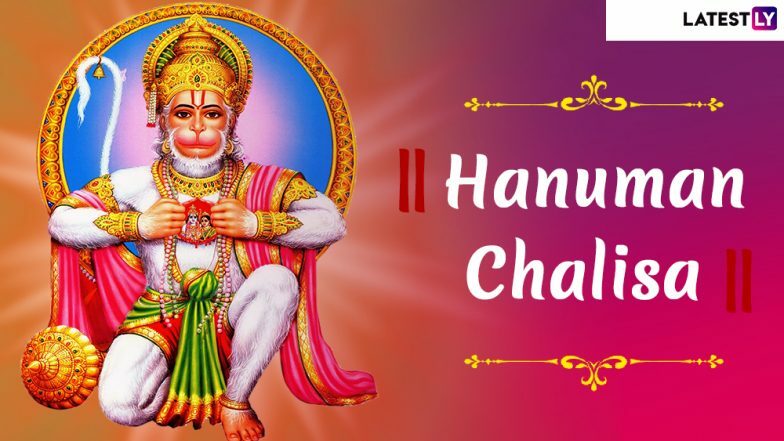 Hanuman Chalisa Facts: Is the Distance to Sun From Earth Found in Hanuman Chalisa's Chaupai; Read Lyrics. (After cleansing the mirror of my mind with the pollen dust of holy Guru's Lotus feet. I Profess the pure, untainted glory of Shri Raghuvar which bestows the four-fold fruits of life - Dharma, Artha, Kama and Moksha). Jai Kapis tihun lok ujagar hail to you O'Kapisa! Legend has it that if one recites Hanuman Chalisa when they are in the middle of a difficult situation, they get the strength to fight their fear. The verses of Hanuman Chalisa also speak of the selflessness and courage of Lord Hanuman.